So I was going over ideas for this week’s photo when I came across some old fortune cookie fortunes. 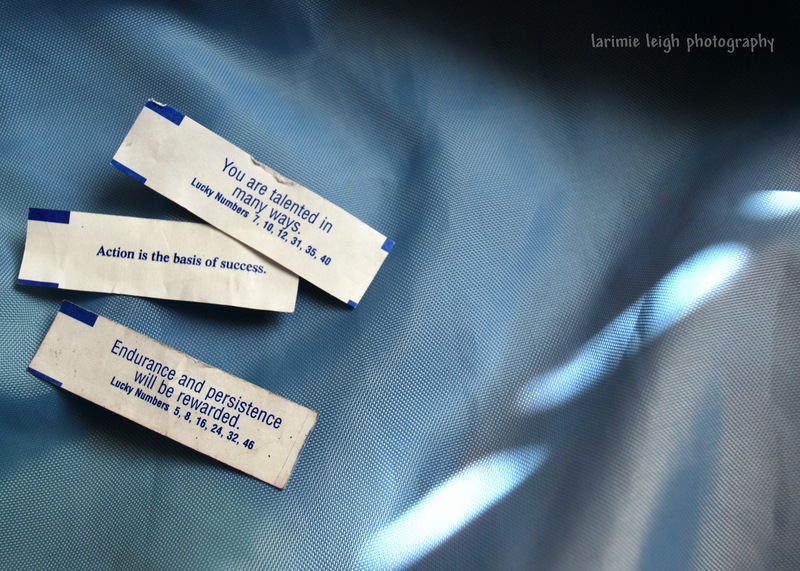 These three fortunes always seem to inspire me and, as it turns out, they’re all written in dark blue ink. Coincidence? I think not. They were meant to be shared. Anyone else keep their fortunes? If so, please feel free to share your favorite/most inspiring fortunes or quotes in the comment section. I would love to see them! Want a fortune of your own? Try out the Fortune Cookie Generator.